Reliable, versatile and above all completely flexible. As the successor to the popular coolcept generation, the coolcept fleX from the Allgäu electronics specialist Steca conquers the heart of all users. With the coolcept fleX family, Steca is now launching successors to the popular coolcept generation with further improved functionality. 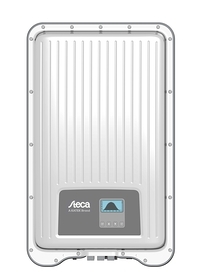 coolcept fleX is based on 8 models of grid-connected inverters with rated outputs from 1.5 to 4.6 kW. The word fleX stands for flexibility and outdoor capability: The devices are available with 1 or 2 MPP trackers, which significantly simplifies system design and system planning. In addition, all devices are in an IP65 housing and can therefore be installed both indoors and outdoors. coolcept fleX is also internationally flexible: with adjustable cos phi up to 0.8 and many pre-programmed country settings, one and the same device can be installed in many countries. Another new feature is the free and convenient system monitoring option: all devices in the coolcept fleX series have access to the free web portal sunCloud. Here the user can enjoy well thought-out, very user-friendly aspects. Operation is simple and intuitive and the user can decide for himself what information he wants to see, how and in what size. Like the popular coolcept and coolcept³ product families, coolcept fleX inverters are lightweight and easy to install, making them the favourite of every installer. The innovative electronic platform will be used as the technological heart of the next generation of solar electronics. Thus, the foundation stone has been laid for a future combination of power generation from photovoltaics, load management and e-mobility.